Ring of Pakistan is the first sport entertainment company promoting professional wrestling entertainment in Pakistan. In December 2018 we made history by successfully holding the biggest international sports entertainment event in Pakistan where 25 renowned international wrestling superstars from 18 countries participated. Christopher Todd Mordetzky, was born on January 8 1983 in Santa Monica, California, United States of America. He is famous by his stage name of Chris Masters for his work in an American franchise WWE. Another one of his stage names in Chris Adonis for his work in Impact Wrestling. Chris Masters started his wrestling career in 2002. He was 16 years old when he started training for his wrestling career. He gave his debut in Ultimate Pro Wrestling and wrestled there for a year. Afterwards he signed his contract with WWE in 2005. He debuted in Raw as a villain but his iron built gave him extra attention. Wrestling universe instantly liked him and he got the nickname of “The Masterpiece”. Chris masters was an arrogant wrestler but his 6ft 4 strong well-built frame backed him with it. His physique was the perfect example for a wrestler to be like hence giving him the name of The Masterpiece. Chris Masters had his version of full Nelson hold, the Masterlock, which he claimed was unbreakable. He would hold several competitions where people would try to break out of his master lock for a prize of 1000$ out of his own money. Chris masters earned exceptional fame in WWE for his unique style and body. He left WWE in 2007 and returned in 2009. The most recent franchise he was associated to was Impact Wrestling. Chris Masters has the following trophies to his name. The list still does not end here. Chris Master’s wrestling career is overwhelming. Chris Masters, The Masterpiece, is now coming this season to show what he is made of in Ring of Pakistan. Let’s show The Masterpiece that we Pakistanis are ready for some action. #ROP #Wrestling in Pakistan#Wrestling. Cyanide was born in Manchester ,England on 10th May,1990. Cyanide is famous in the wrestling world for his huge size and unpredictability. He is 6ft 3 tall and 350lbs. A wrestler with such size must be destroying his opponents with ease. The psyco must be kept in chains as we never know what this giant might do. Cyanide began his Professional Wrestling Career in 2004 in FutureShock Wrestling as Alex Cyanide. In FutureShock, Cyanide formed a tag team with Jack Toxic known as “Lethal Dose”. He got famous for his psychopathic style of wrestling. His unusual type of character was the reason for his fame in wrestling. Cyanide joined Grand Pro Wrestling in 2007. His time in GPW was not so promosing. He suffered several losses there but still was a promiment member of the association. While working with GPW Cyanide associated himself with a couple of other franchises. Northern Wrestling League was one of it. Cyanide finished his NWL span with his match in November,2007 beating his opponent Chris Egan.Secondly, he wrestled in New Generation Wrestling. 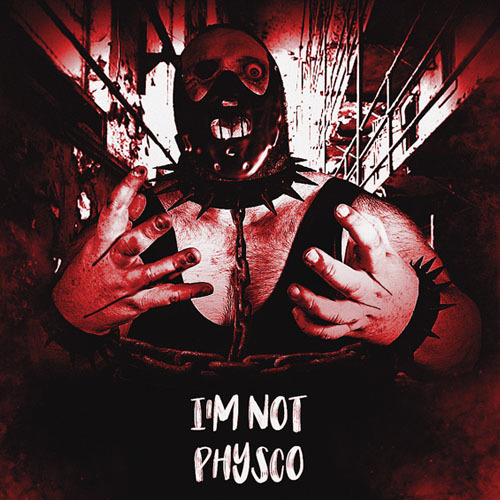 Cyanide supports a psychotic character in his wrestling career which is the reason for his fame. His finishing move is The Chokebomb. His signature moves are Gas Chamber Splash, Sparkling Cyanide, Alvarize Driver , Contaminater Splash and Acid Landing. These moves give the idea what type of a wrestler Cyanide is , a total psyco. Toxic Terror and The Poison are the nicknames he got for his dynami character.These humane traits makes him fearful in the ring. New Generation Wrestling Heavyweight Championship. Cyanide, the Psyco, is ready to show us his lethal moves of wrestling in Ring Of Pakistan. Hold on to your seats as Cyanide is coming to Pakistan. Will he kill or will he spare? We’ll get to know soon. #ROP #Ring Of Pakistan #Wrestling. Bjorg Hakeen is a Professional Wrestler from Finland. Hakeen is 193cm tall and weighs around 115 kg. Hakeen is a Viking. He is not backing down in the ring what so ever. Bjorg Hakeen has been in the wrestling career for 8 years. Hakeen is the Viking of the ring. People and his fans love him for his vicious wrestling attire. Hakeen has never been associated to a international wrestling promotion but his career is promising because wherever he goes, he is loved. 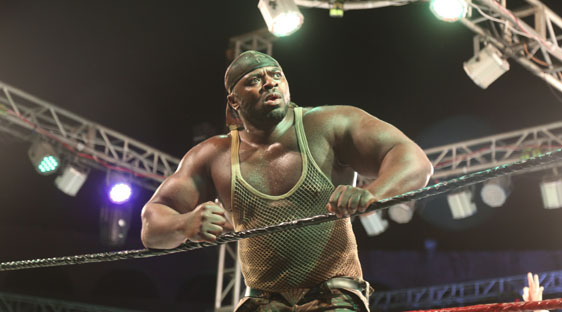 Hakeen has played many independent wrestling matches and won many of them. 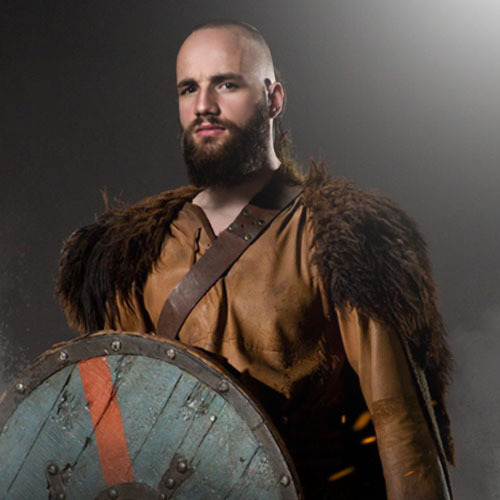 Bjorg Hakeen is bringing his Finland culture to Pakistan as a Viking in the ring . He is ready to wrestle in Ring of Pakistan so get ready people. The Viking is here. #ROP #Ring of Pakistan #Wrestling #Wrestling in Pakistan. 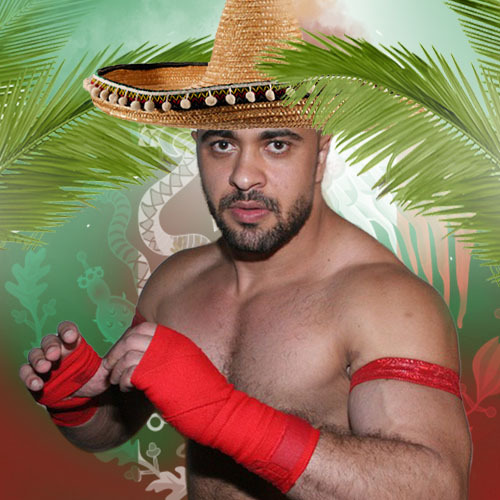 Heddi Karaoui is a French Professional wrestler born on 1st November,1983 in Aix-en-provence, France. 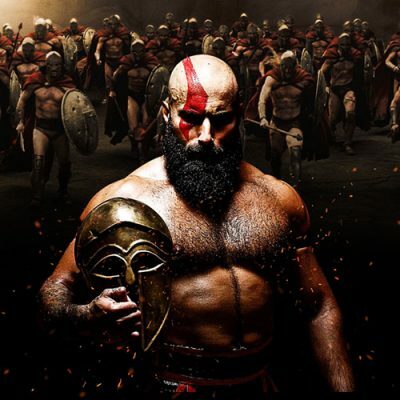 Heddi Karaoui is a perfect all rounder in wrestling following Techniker and Martial arts in combat. Heddi Karaoui’s beginning of in ring career was in 2008. He got his training from Antonio Inoki and Billy Robinson. He wrestled for many French Wrestling promotions. The first wrestling company Heddi was associated to was French Wrestling Federation. Heddi traveled to UK to wrestle in All Star Wrestling . Heddi holds a prominent position in a German company “Westside Xtreme Wrestling”. Currently Heddi is associated to International Wrestling Stars Federation. 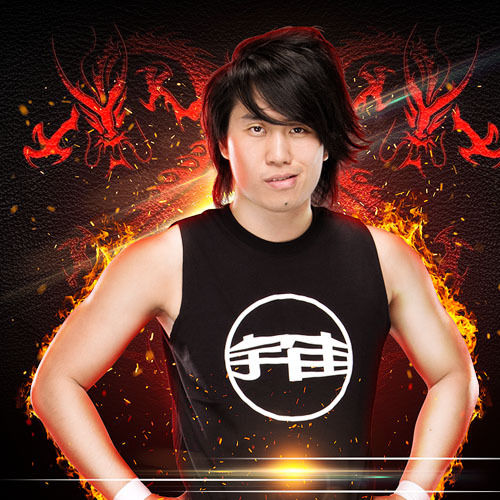 Wong Yuk Lun, is a Hong Kong professional wrestler born on 19th July,1987. Ho Ho Lun is 5ft 7 tall and weighs 155 lbs. He is well known by his stage name of HO HO LUN for his work in NXT, the developmental territory of WWE. Ho Ho Lun is also the founder of Hong Kong Pro Wrestling Federation. Ho Ho Lun was passionate about professional wrestling since his childhood. He was a big fan of wrestling superstars of World Wrestling Federation and New Japan Pro Wrestling. His wrestling career started when he shifted to China and joined China Wrestling Entertainment. Ho Ho Lun opened his own gym in Hong Kong where he and his fellow wrestlers trained. This formed the basis of Hong Kong Pro Wrestling Federation. Some notable wrestlers who trained and originated from this gym are Jason Lee, Ladybird and Bitman. In 2010, Ho Ho lun traveled to United Kingdom and joined 4FrontWrestling. In 2011 he came back to UK and this tour lasted for 6 months. Ho Ho Lun was a participant in WWE Cruiserweight Championship, beginning his career in WWE. Ho Ho Lun became a member of NXT as a tag team partner of Dusty Rhodes. In 2017 , it was announced that Ho Ho lun was relieved of his contract. Except these ventures, Ho Ho Lun has been wrestling in various countries around the globe . Ho Ho Lun wrestled in Taiwan Wrestling Tapei in Taiwan. He also wrestled for other Taiwanese promotions like New Taiwan Wrestling. In his 2011 UK tour Ho Ho Lun wrestled for 4FW, Triple X Wrestling and Pro wrestling Live. Ho Ho lun has been a globally renowned wrestler wrestling around the globe . After wrestling around the world in many countries, Ho Ho Lun is coming to Pakistan to wrestle in Ring Of Pakistan. So fasten your seatbelts and experience the action, the adrenaline and the rumble in Ring of Pakistan #ROP #Ring of Pakistan #Wrestling #Wrestling in Pakistan. Natalie Harrison is a Canadian Professional Wrestler born in Toronto, Canada on 1st July,1985. She is known by her stage name KC Spinelli. KC Spinelli says that she is a feminist and her work in the wrestling career is to inspire women to stand up for themselves. KC Spinelli’s stage name is inspired by a television series “Recess”. KC Spinelli got her training by various trainers like Scotty Mac, Artemis Spencer, Kenny Lush and Nicole Matthews. She debuted in her wrestling career in 2009. Her main show debut was in 2010 in a match against Tenille Dashwood. KC Spinelli got her contract signed with Impact Wrestling in 2017. Her first match in Impact was a tag team match. In 2018 Spinelli started portraying the Undead Maid of honor as a member of Su Yung’s undead Bridesmaid entourage. KC Spinelli worked for many Canadian and American promotions. Some of those promotions include Acclaim Pro Wrestling, British Empire Wrestling, Cross Fire Wrestling and Pure Wrestling Association. Kc Spinelli has a very empowering kayfabe. Her tomboyish childhood might be a reason for it. She played many combat sports in her early life like Judo, Karate, Mai Tai kickboxing and wrestling. A women excelling in such sports makes it obvious that nothing is going to stop her. She is wild when it comes to wrestling making her an inspiration for women who love to follow wrestling and that is the point of her wrestling to some extent. Kc Spinelli is now coming to Pakistan to inspire some Pakistani women only on Ring of Pakistan. Mila Smidt is French wrestler who was a Amateur Wrestling Champion. Mila Smidt’s professional wrestling career tenure is of 2 years. Mila is a very dynamic wrestler and is on tracks to a very bright future. Mila’s inspiration is Paige, an English professional wrestler. Paige is not only Mila’s inspiration but a lot of empowered young ladies look to her for motivation. Mila’s Smidt is a Professional wrestler at British Empire Wrestling for 2 years and became the Amateur Wrestling Champion. Mila is loved by fans when she wrestles because of her extraordinary charm. She can be explained as a Lethal Charm. This year Mila is going to be on her first International Tour as she is coming to Pakistan to spread her charm on the Pakistani nation. Mila is on her way to wrestle in Ring of Pakistan. Fabio Giarratano was born in Palermo, Italy . He is known by his stage name Red Scorpion. This wrestler is famous for masked way of wrestling. Red Scorpion has a very dynamic style of wrestling. His masked identity is one of the main attraction of his wrestling attire. He has his own style of wrestling which makes him so attractive to the viewers. He tries to mix the qualities of a scorpion in his wrestling style. His finisher move is Scorpion Red Lock, Scorpion Driver and Twister Sting. He got many nicknames for his style but the famous one of those is “ll nemico del male” which means “the enemy of evil” . 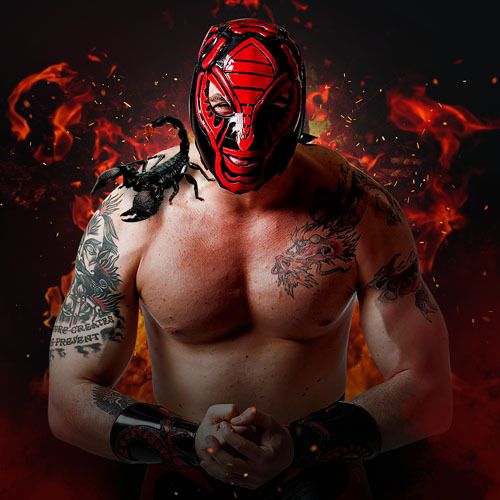 The nickname indicates that the Red Scorpion is one of the good guys in wrestling universe. Red Scorpion has shown his skill wherever he went to compete. Red Scorpion is on his way to Pakistan to compete in the Ring of Pakistan. The venomous wrestler might prove lethal with his moves and skills. Pakistan is going to witness what this wrestler has to offer. #ROP #Wrestling in Pakistan #RingOfPakistan #Wrestling. WANT TO BE A WRESTLER ?